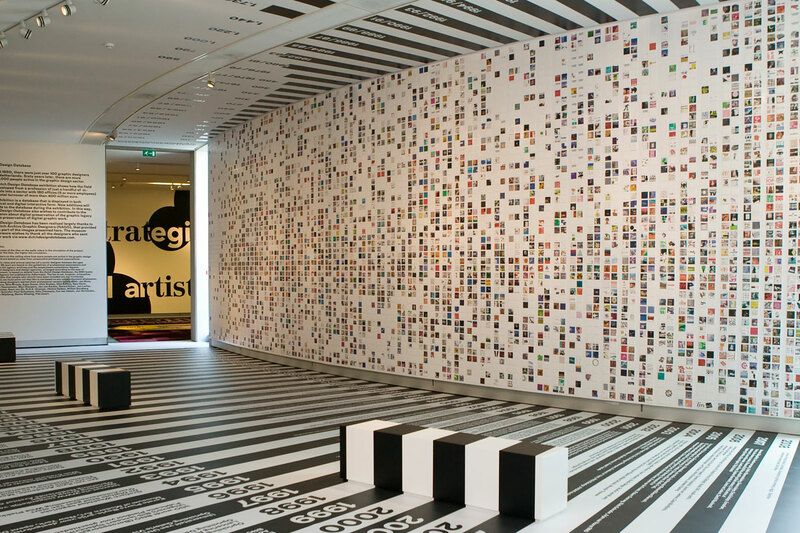 With almost 17,000 objects, the Dutch Design Database depicts the dynamic development of a creative discipline that has grown in the Netherlands to an economy of significant size in the last 6 decades. 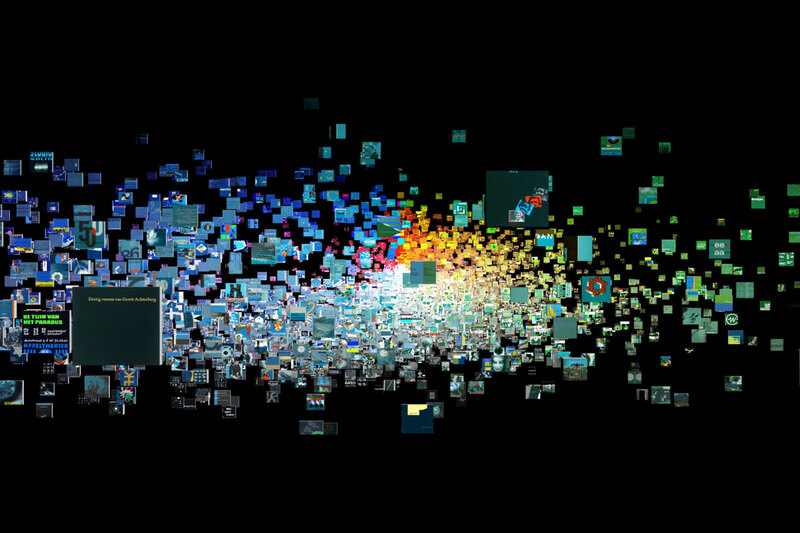 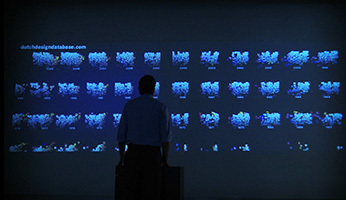 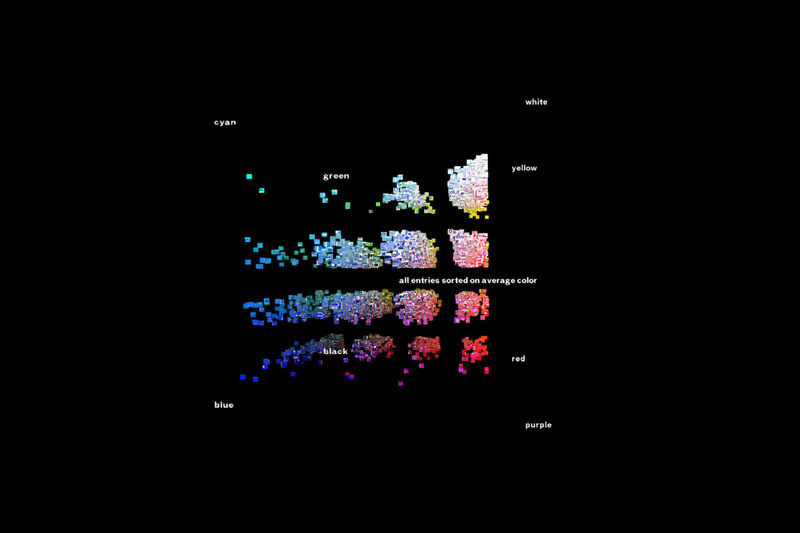 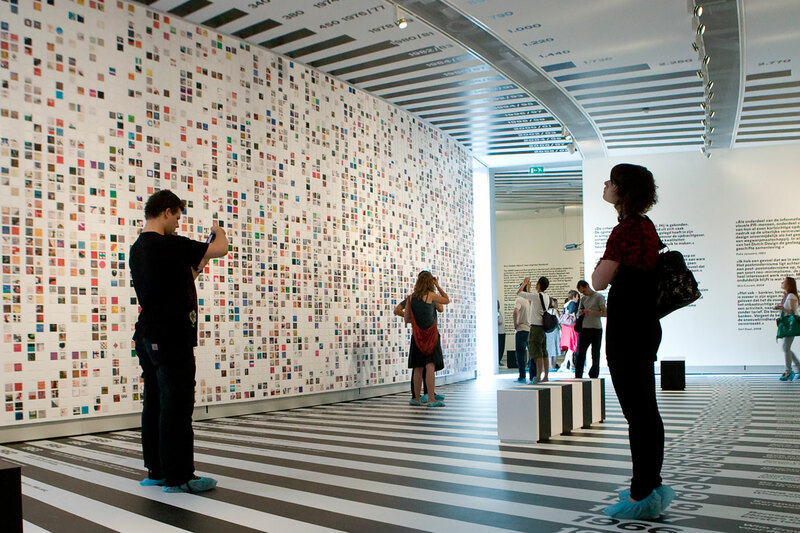 The exhibition allows not only to experience the physical power of data, but also to browse and search the project-related information interactively. 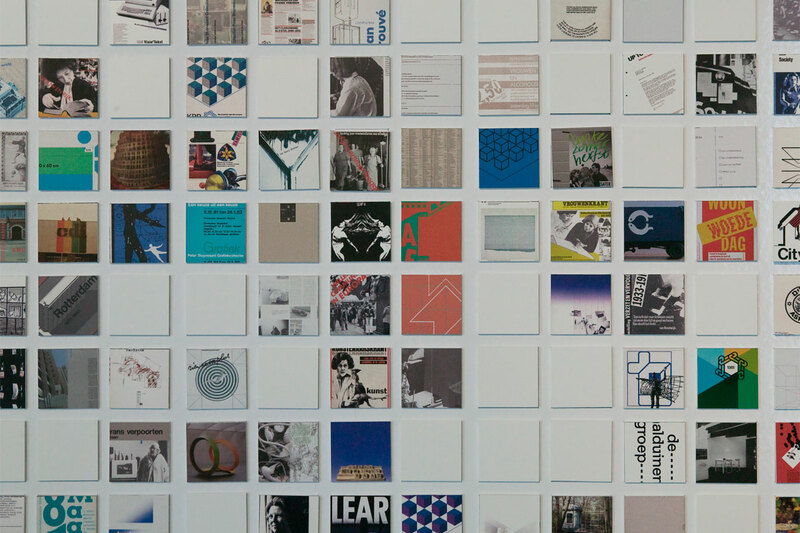 The database is an online repository for visual material of printed matter, animations, websites, films and other visual communications material from 1945 until now and later. It functions as a digital archive and, at the same time, discusses the subject of digital heritage in the field of applied arts. 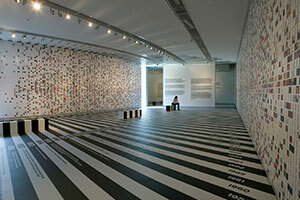 Press release published on June 28, 2009. 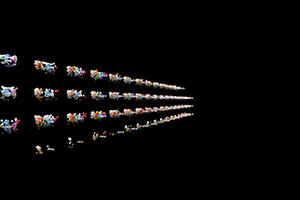 To get an audio-visual impression of the exhibition design, please check out this link. 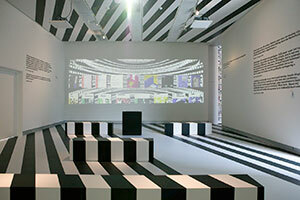 View of the main exhibition hall with a physical representation of the Dutch Design Database. 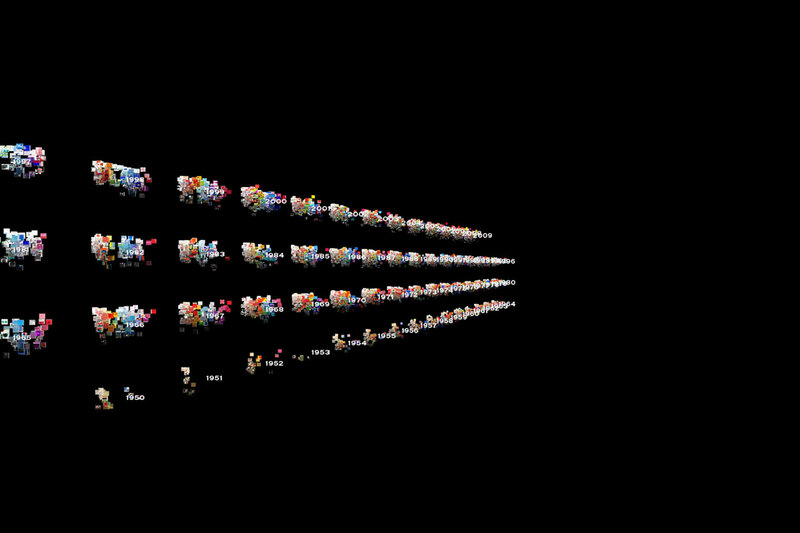 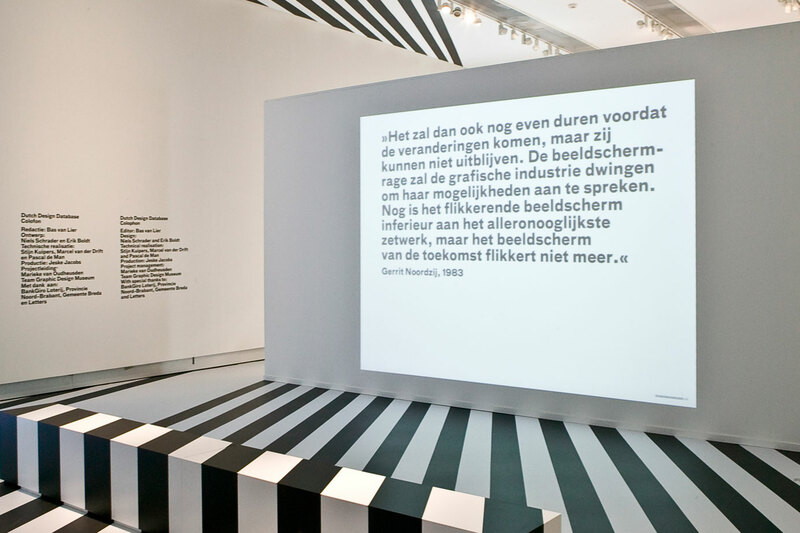 – Photos by Tim Eshuis Dutch Design Database on Vimeo. 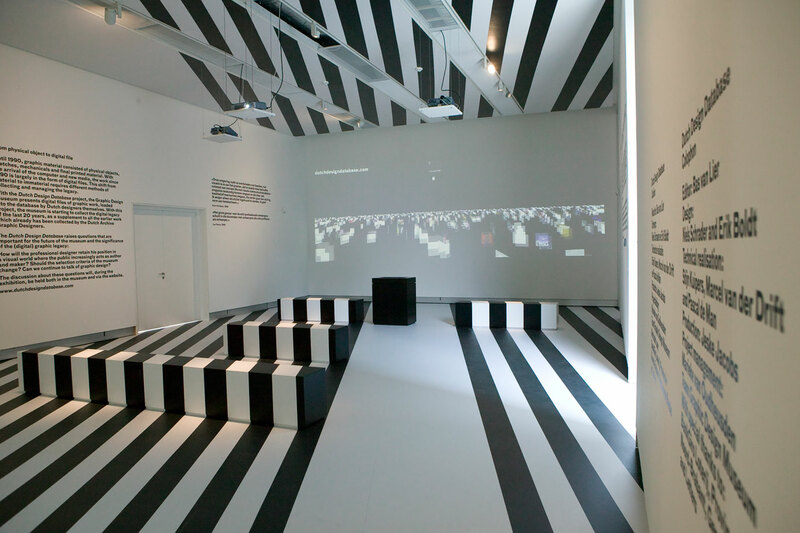 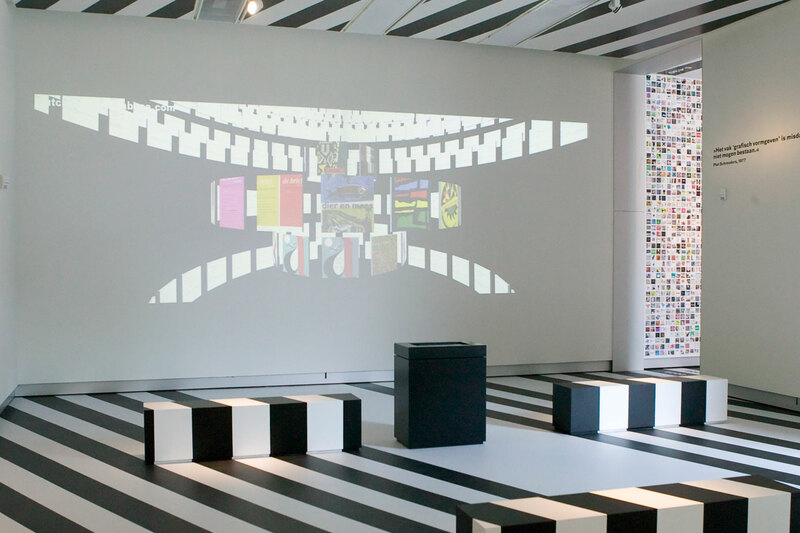 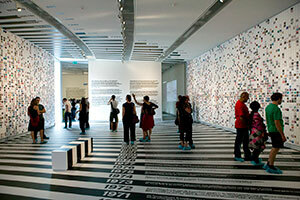 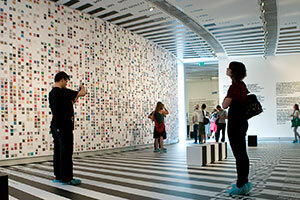 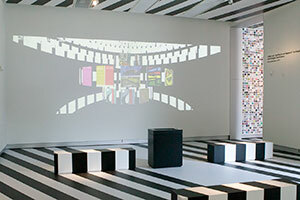 View of the neighboring exhibition space showing the digital design collection on a panoramic canvas. 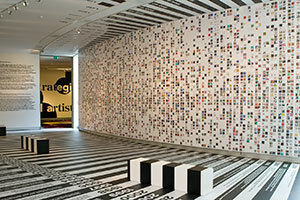 Almost 17,000 tiles displaying 6 decades of graphic design in the Netherlands. Visitors can access individual exhibition items through a touchscreen. 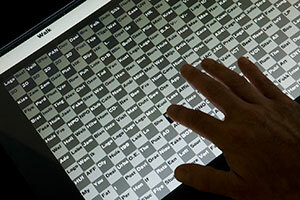 Interface to browse and filter the database entries. 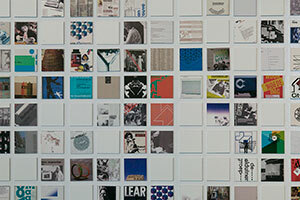 Close-up of the tiles. 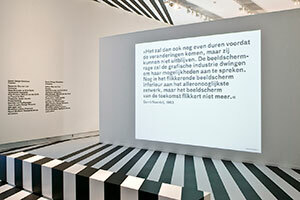 A stand-alone wall presents a selection of quotes by Dutch designers. 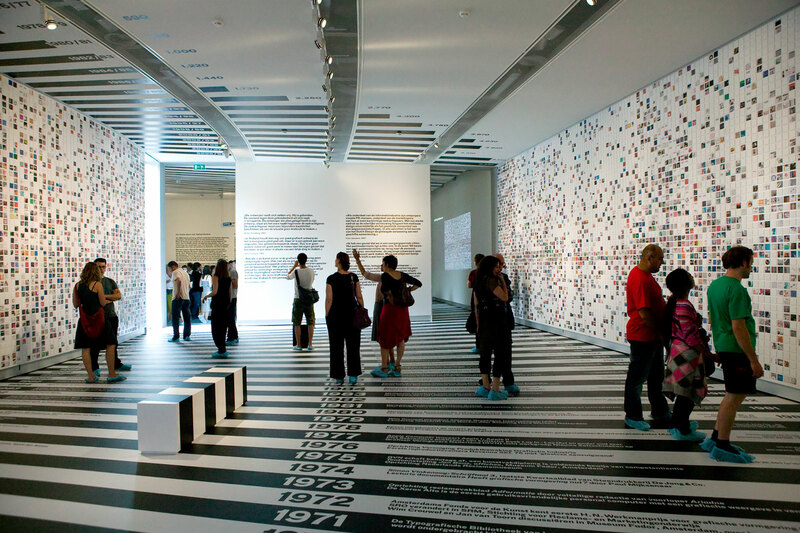 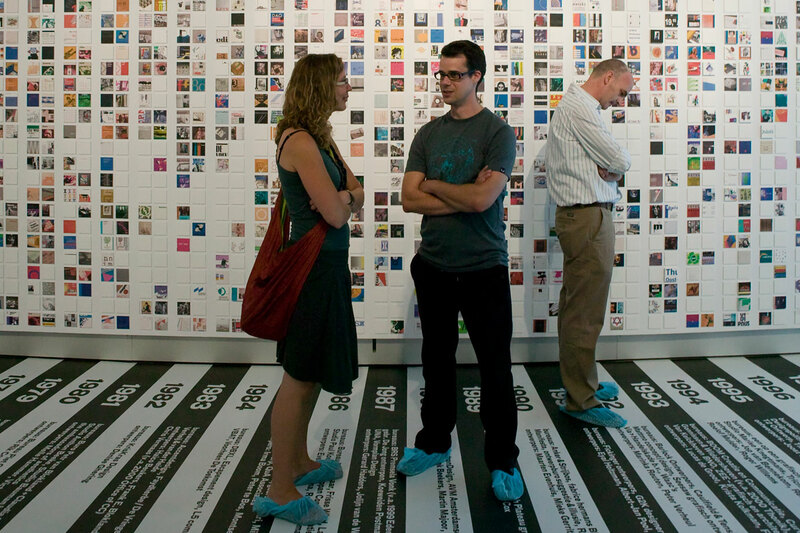 The visitor steps into a space totally covered with facts about graphic design. 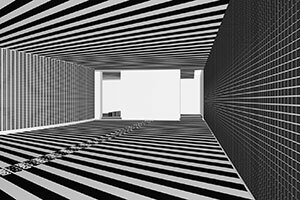 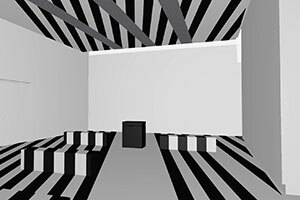 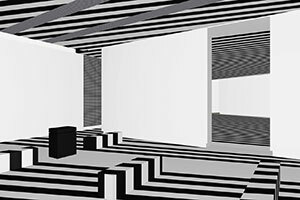 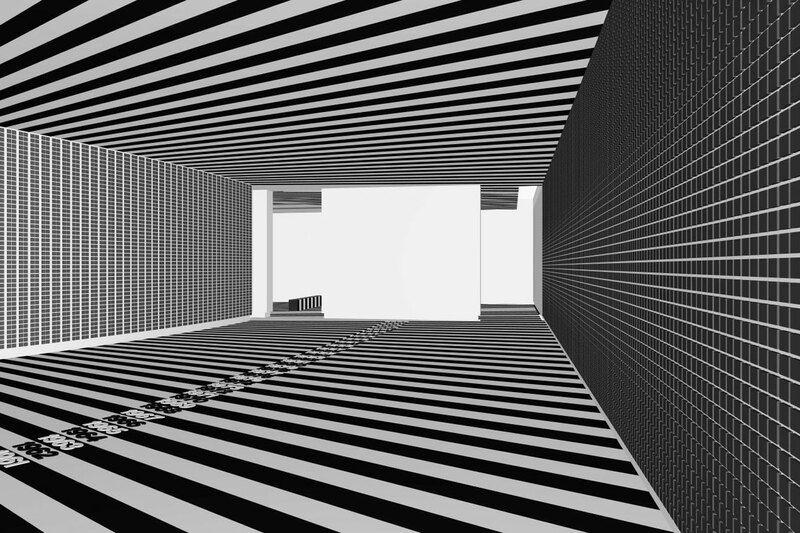 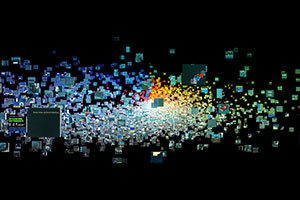 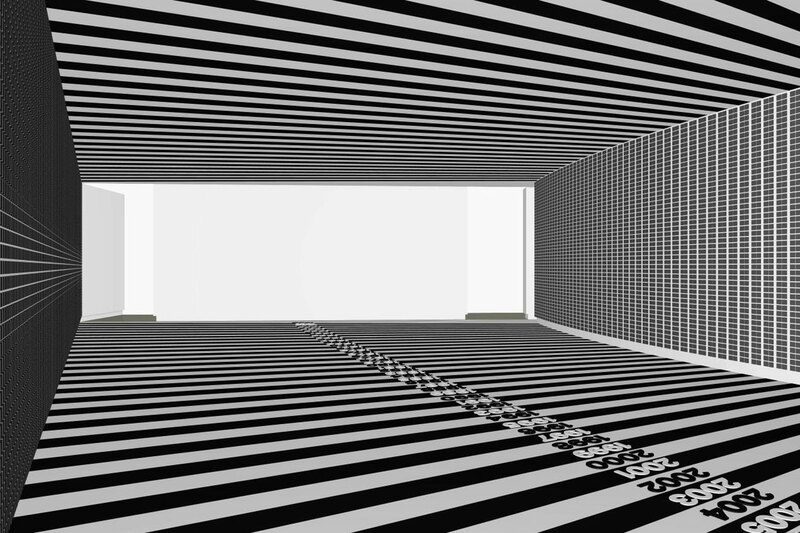 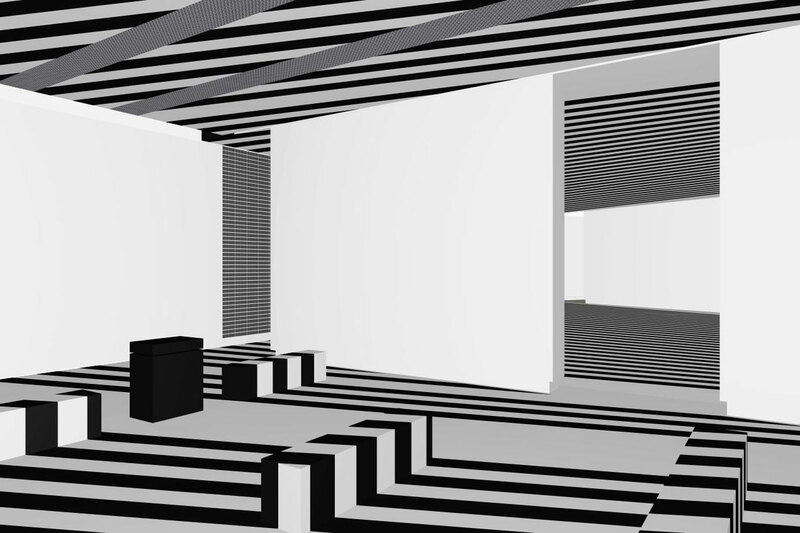 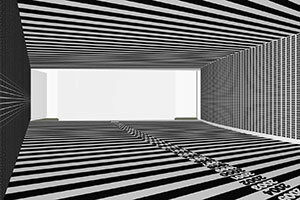 Black and white stripes form a firm grid in which dynamic data can unfold its physical power. 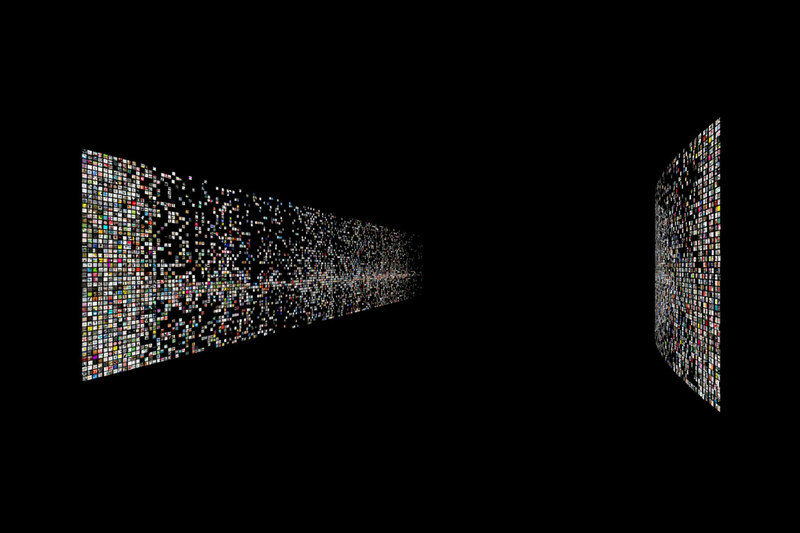 Screenshots of the digital database. 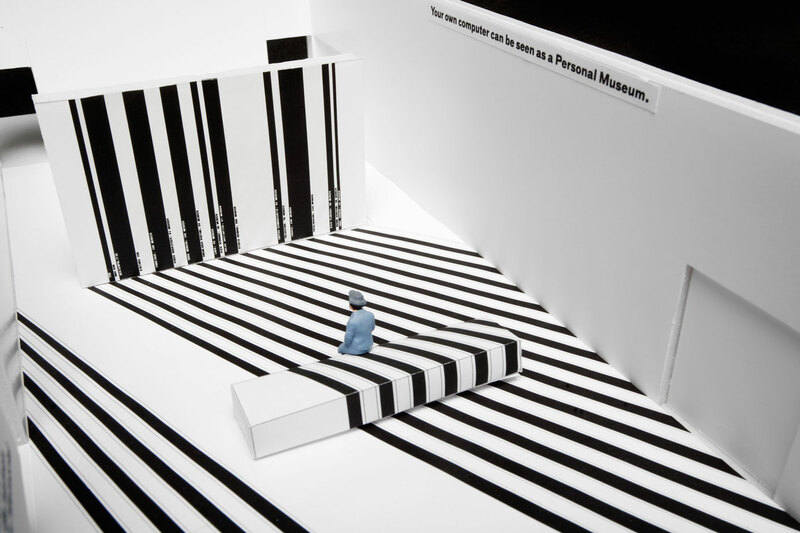 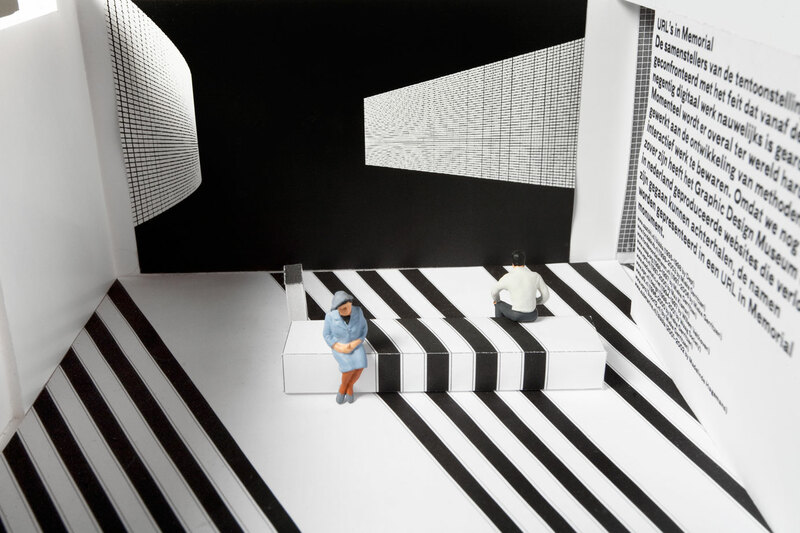 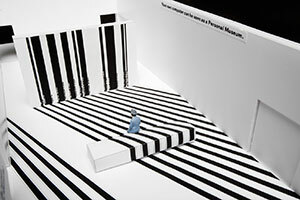 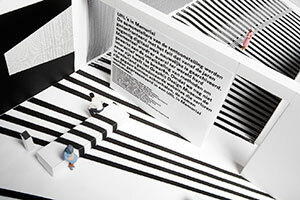 Miniature mock-up of the exhibition scenery. 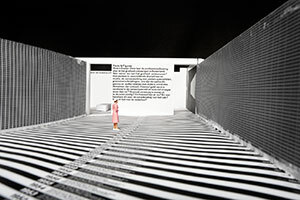 – Photos by Roel Backaert First test renderings of the exhibition space.